San Jose, CA (February 17, 2016) TransPak, a leading provider of logistics solutions, custom crating, packaging and design, has added Pelican Cases to its growing portfolio of offerings. These are rugged cases, favored by Security, Aerospace, Military, Medical and Semi-conductor companies who demand the safest solution to protecting and transporting their fragile parts. TransPak's innovation lies in approaching the product design from the inside out. “It's our attention to detail and our vigilance to quality that sets us apart." said Jennifer Kay, head of TransPak's SoCal division. “As crating leaders, specialized packaging is in our DNA. What makes our Pelican Cases distinctive is tailoring the interior inserts to your exact specifications. This, combined with the dust-proof, watertight exterior case, ensures your “fragile parts" are cradled and ready to keep pace with your demands." 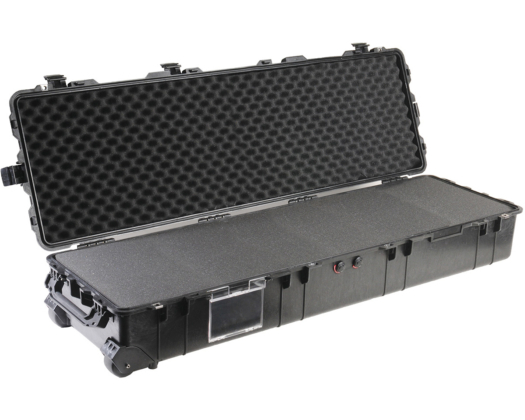 TransPak's onsite production means Pelican Cases with custom interiors can be created and adapted to your specific item. Our global network scales as your business and market demand grows, seamlessly producing quantities of high-quality Custom Cases and delivering them where you are. Email Jennifer.Kay@transpak.com to create your own specialized case or visit our website to learn more. Founded in 1952, TransPak is a worldwide leader of logistics solutions, custom crating and packaging. A key partner to leading technology companies in the semiconductor, aerospace, medical equipment, security, and solar industries, TransPak offers its customers a comprehensive range of supply chain services. Headquartered in California's Silicon Valley, the company has 20 satellite offices around the globe.